Natural cable ties are recommended for indoor use. 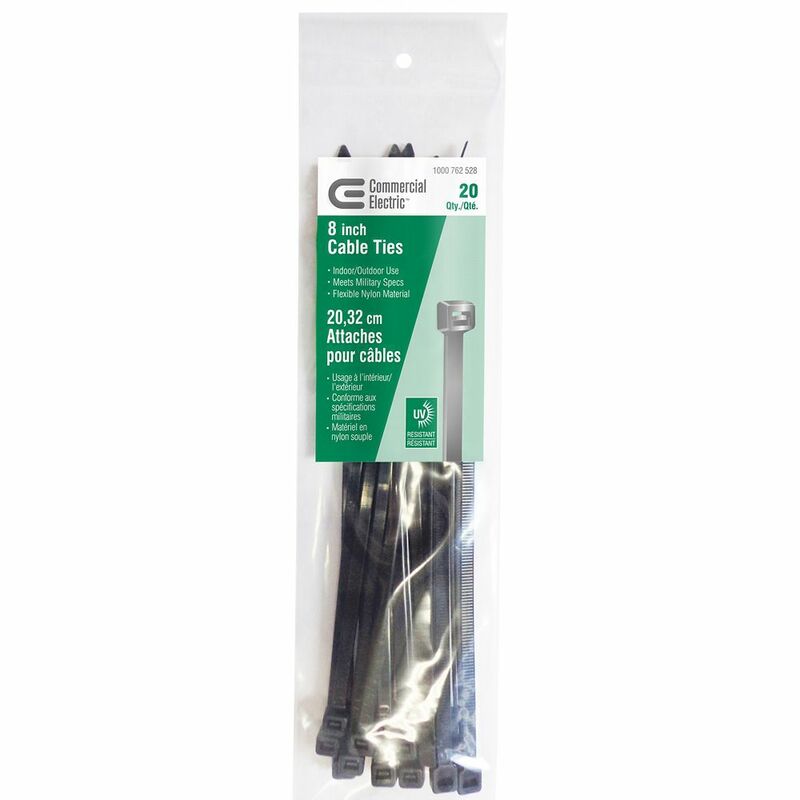 UV black cable ties recommended for indoor or outdoor use..
8-inch UV Cable Ties in Black (20-Pack) A cable fastening device provides strong support for positioning cable and pipe bundles. The design of its head guarantees a high tensile strength while allowing a very low insertion force. Products are available in a wide range of materials and colors. 8-inch UV Cable Ties in Black (20-Pack) is rated 5.0 out of 5 by 2. Rated 5 out of 5 by bill from I used the ties to anchor a plastic fence around my yard to keep our pet in and other animals out... I used the ties to anchor a plastic fence around my yard to keep our pet in and other animals out. Ties worked fine. Hopefully they will hold up under the strong summer sun here in Discovery Bay.